With bright and cheerful Sunday’s approaching, team Style Stamp is back with our favourite bloggers for the weekend. These fashionistas are on the rise with their impeccable fashion and style. 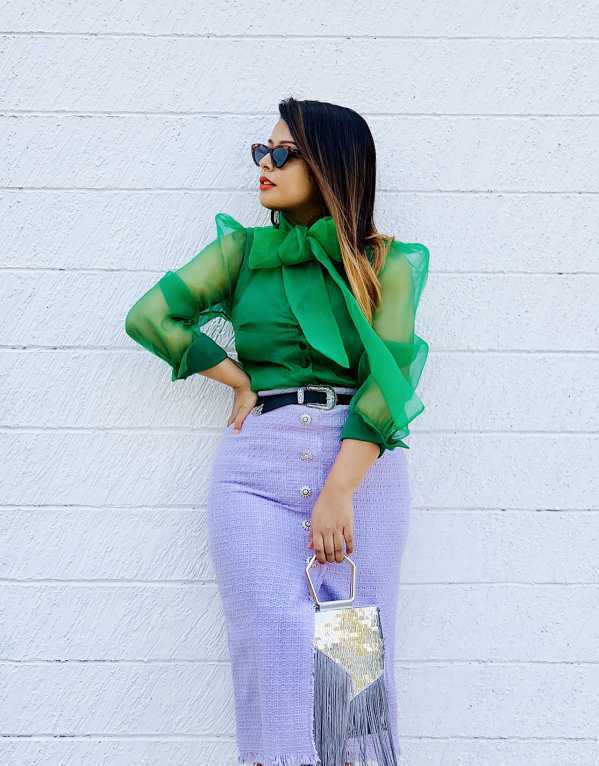 Take a cue on how to spruce it up from our bloggers on the rise! We absolutely love the colour blocking and power dressing combination. Just like the bright summer’s pranami has styled her ensemble in shades of yellow and pink. The chic accessorizing is also a complete winner! Animal Prints are a risky option to pull off but pragya has styled it perfectly without going overboard. We also love the denim layering to complete the look! Angela’s fun approach towards her attire is what we love! The fun play of print on print looks lightweight and fabulous for a summer day out with your girlfriends! Get some colour pop in your stockings!